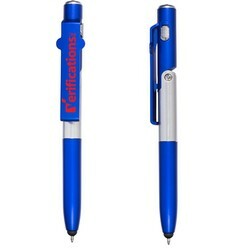 ABS plastic compact multi-purpose twist-action ballpoint pen. 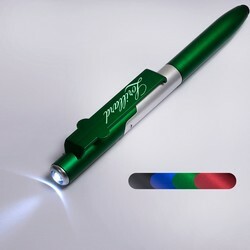 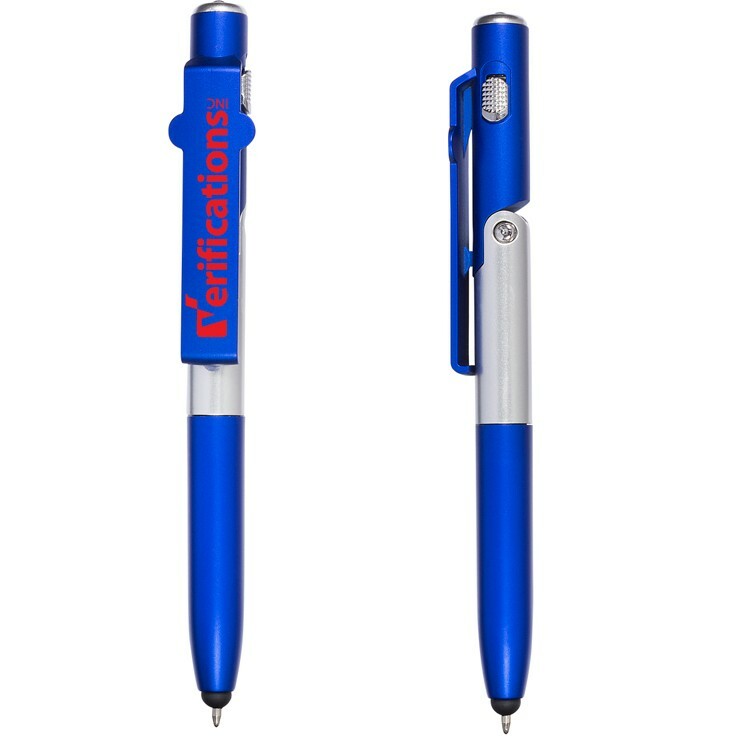 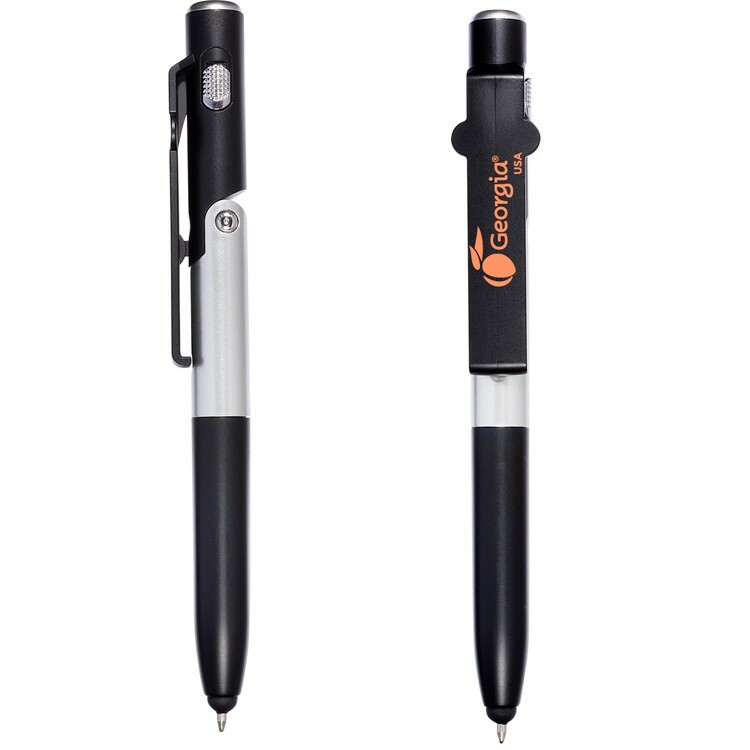 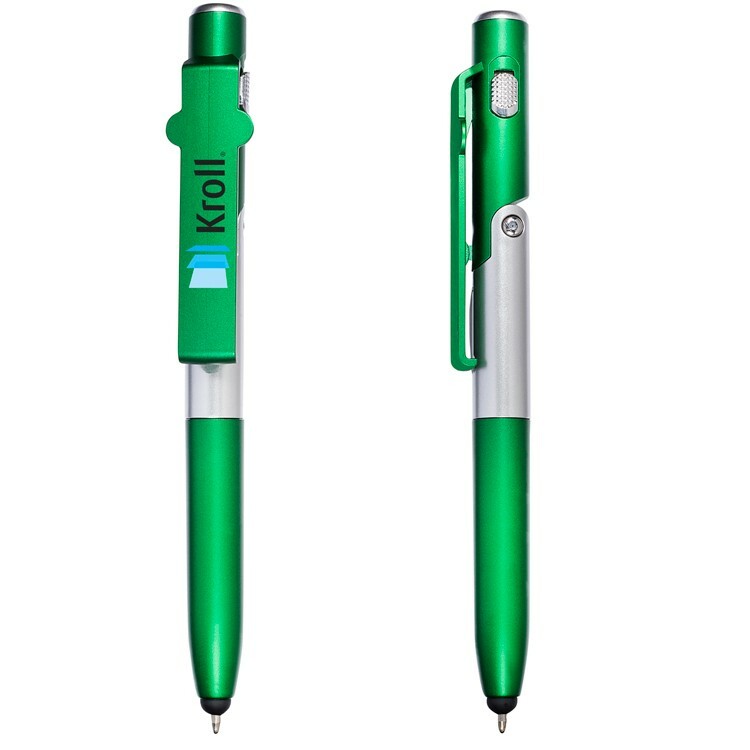 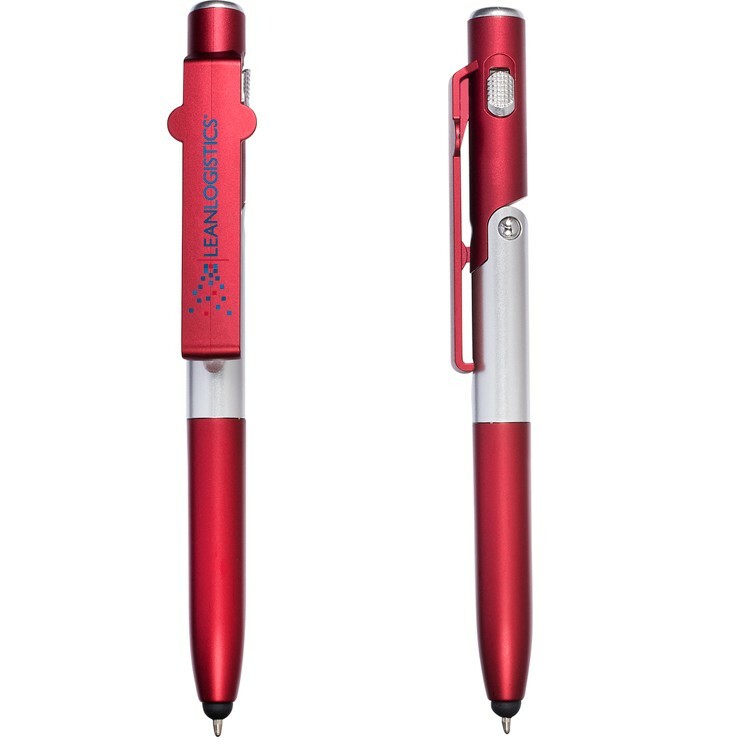 Unique pen can also be used as a stylus, mini LED flashlight and a phone or tablet holder. 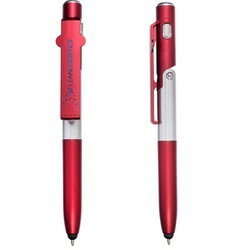 Uses 3 button cell batteries, included and replaceable. Clip to mobile devices/cell phone and fold to create a stand. 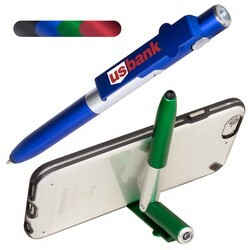 Soft Silicone tip for use with touchscreen devices, and screen cleaner on cap. 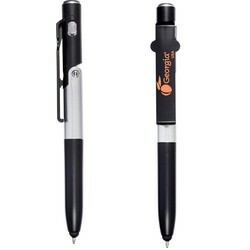 Features black, medium point ink.